Fukuoka, Hakata is the gateway of Kyusyu. Machiya had redecorated and developed a guesthouse. We will serve you with the Hakata style mat and Japanese style. 15 minutes from Hakata station (by subway & on foot). 20 minutes from the Fukuoka Airport (by subway & on foot) with good access. Can go to city center 'Tenjin' area and 'Nakasu' area by walking. 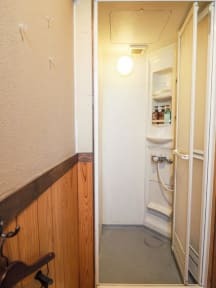 It is a at-home Japanese style cottage and the price is very reasonable. Served with Private rooms or Dorm rooms. Travelers who are planning to visit other places in Kyushu such as Nagasaki, Miyazaki, Kumamoto, Kagoshima, Oita, Saga or South Korea this is a perfect place for you to have a pit stop. Please stop by with all means, body sighting, solitary journey, backpacker and wandering travel are all welcome. *Please be care, we have own cancellation policy (2 ~ 5 days before: 30%, 1 day before: 50%, same day as reservation or no cancellation report: 100%). ***Please make sure to inform us your arriving time if you would like to leave luggage. We can accept it from 8am to 1pm. (Entrance is closed : 10:00pm-3:00pm. Though the rooms are small but please spend a relaxing time in the Japanese style. It was our guest house in Japan, we felt welcome and it is close to the heart of the city. You can walk to the centre. Cosy and clean. We enjoyed the stay there and think it was a good start into Japan. A decent hostel overall. It is located in an old building and, from what I could tell, kept in a rather traditional Japanese style. 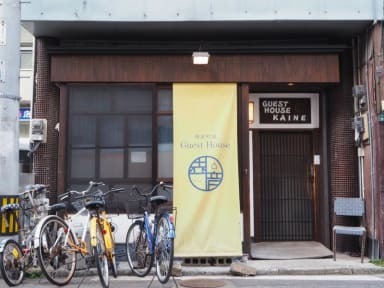 If you're looking for a huge, modern, state-of-the-art hotel, go ahead and look someplace else, but if you're looking for a small, comfy place to stay with a homesy feeling to it and staff that will do their best to make sure you're satisfied with your experience, this is your go-to place in Fukuoka.